Two days ago I bought the desktop calendar, I can not change the name of the months to another language, I already wrote to them and I do not get an answer, I checked their social networks and it seems that they have not been active for years, the license was sent in less than 24 hours, does anyone know anything? The unlock code to access the classes of Calendarview was sent to you twice, free of charge. Maybe the first email was lost as I use Sendgrid for sending transactional emails from my license key generator and Sendgrid had some major issues lately. Did you boot your application on a computer where that language is the default language ? · Gavin S, Douglas B, Sascha S and 4 others like this. Jeremie is slow in responding based on other threads in the forum. I don't buy anything encrypted for this very reason and I only sell unencrypted source. Encrypted source is cheaper but you are stuck with slow or no support or if the developer goes out of business. · brian f and Victor M like this. Serial numbers are sent automatically for encrypted classes. I was travelling yesterday and back at the office this afternoon. The CalendarView tries to extract the month names automatically but sometimes it can fail for some languages. · Gavin S, Sascha S, Tim P and 1 others like this. @Jeremie L Jeremie is slow in responding based on other threads in the forum. Thanks for the support, this really worried but you responded very fast and it's great, there should be no doubt with your support and controls since you come back and respond.., the serial if I got it fast. 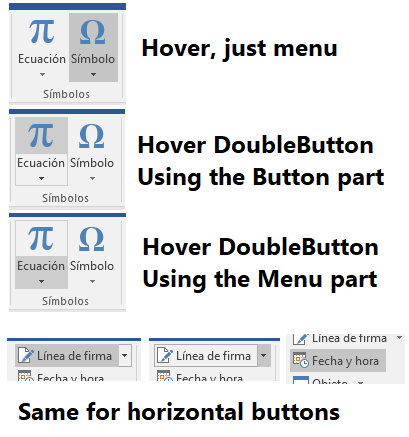 Then you can help to change the version by the decrypted one and I send you the difference? FWIW, Jeremie has been hugely supportive on the forum, particularly over the last year. He's the number one iOS Xojo developer as far as I can see and I'm sure any delays in support can be attributed to the fact that the add-on community is usually made up of one-man bands and sometimes personal life just gets in the way, despite best intentions. Having said that, I agree with Bob about only buying unencrypted products. · Douglas B, Sascha S, Jean-Yves P and 2 others like this. Actually, for developers, encrypted products are a bad deal. They earn less, and require much more support. · Eugene D, Joost R and Victor M like this. if someone can help me with the calendar, I am not able to run the calendar with Postgres database, I wrote to Jeremie Leroy to change the encrypted code to decrypt with the payment of the difference and he did not answer me, I give myself for beaten with your company, offers distant support and that does not work for me, I need the code even if I have to pay, I get the impression that is ready to charge but not to help, I'm sorry, I do not want to offend anyone, but at my point sight left without Jeremie's help. · Langue R and Victor M like this. This happens a lot in this community and it hurts the third party ecosystem. For example: A developer puts a button for sale and then people ask "Your button is very nice. Could you please show me example of integrating button into shopping cart system with e-commerce support." User interface widgets should be dumb. They have a few properties, they have a few events, and for most part should be able to be tossed into any workable project because they make no assumptions what that project will be. In this case a database example is exactly like one without a database. The only difference being the properties you set may pull from a database and the events you handle may make updates to a database. Is there a specific issue with a database you have encountered when using the control you are unable to resolve? The larger community might be able to help with specific questions. · Michel B, Bob K, Louis D and 1 others like this. I will try and return to write later. Moral of the story : don't buy third party plugins, do it yourself. The more someone rely on other people, the more vulnerable the solution becomes. For that reason, I do not rely on any third party solutions. If I can't do it myself, I have only myself to blame. In the past there where regular complaints about Jeremie Leroy support. To me it seems terrible. Customers I am working for, support is within 24 hours every day of the year even on holidays. But mostly I reply within 12 hours. · Ivan T, Peter J and Victor M like this. Talking about support, There is a bug on the ribbon, what is the pont of the "DoubleButton" ? It should have 2 separate events, The Action when clicking in the "button area" and displaying the menu when clicking on the "disclosure area". But, when you add a menu to it, it behaves like any other menu buton and the Action event is not fired. Or I am doing something wrong? FWIW, the BKeeney calendar classes are really, really good. And source code to boot. It'd be nice for them to get some updated love, but you can do almost anything with them. In my case, making a year calendar with 52 Mondays in a row. Highly recommend. I got the jeremyleroy calendar, too, but imo bkeeney is more versatile. Also Bob his training video's and support is excellent. · Bob K and Victor M like this.